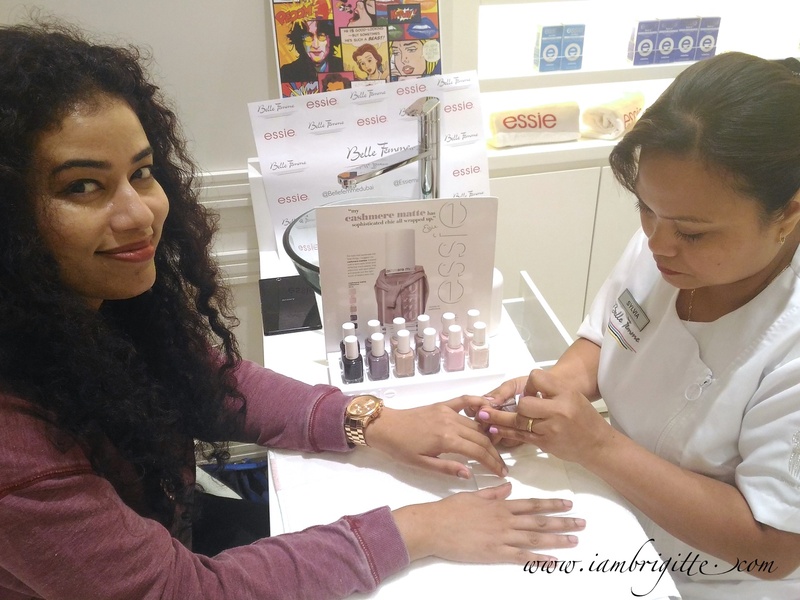 The nail polishes are created with a soft matte finish with a gorgeous reflective pearl colour. 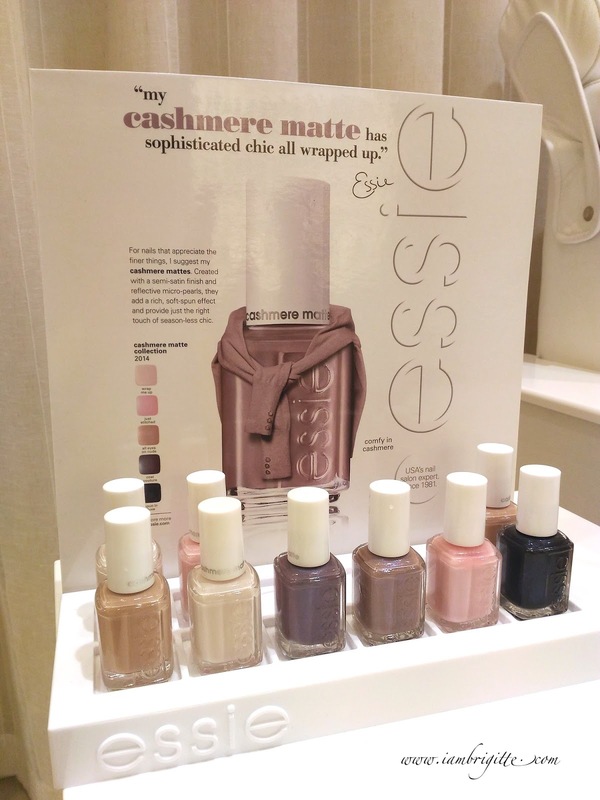 There are 6 available shades all of which are inspired by a luxurious neutral color palette of rich cashmere. 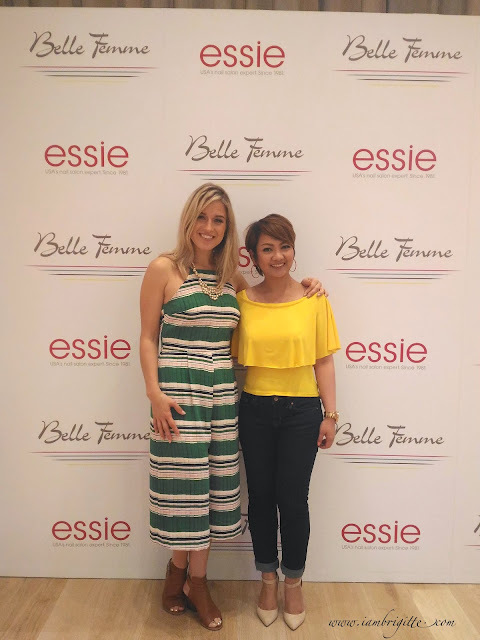 The launch was held two weeks ago at the Belle Femme Salon and was graced by no other than Essie's Global Lead Educator, Rita Remark. Rita was also a part of the Essie's Global Team for the New York Fashion Week where her artistic talent led her to masterminding some of the nail polish designs for the runway. With the growing remarkable accomplishments under her belt, it's understandable that one might feel intimidated by Rita. But trust me, once you get to talk to her, she's such a sweetheart! She's so down-to-earth and 'twas such a joy talking to her. Guests during the launch were given a chance to get first dibs on the new collection. Rita was right. Once you get these polish on, you just won't be able to keep yourself from touching your nails. They absolutely feel super-soft as they look. I've never encountered such lovely finish before. 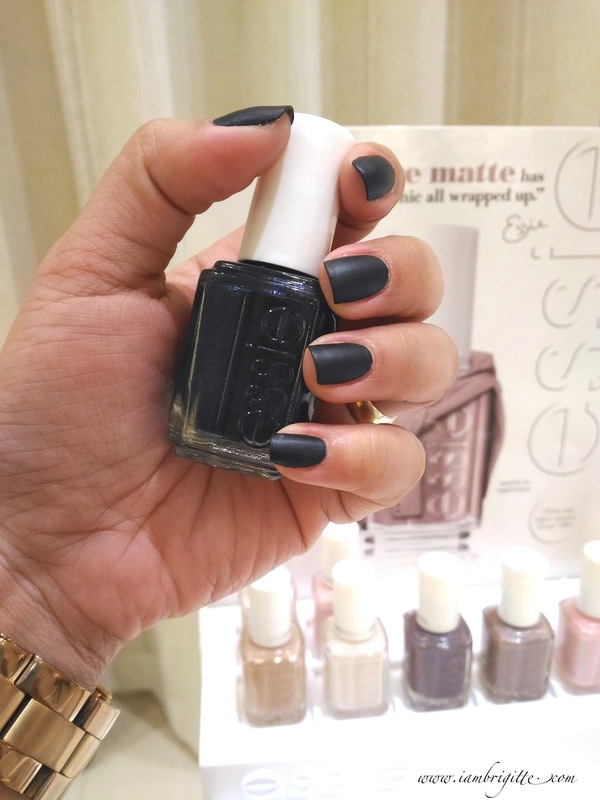 As with other matte polishes, don't expect them to really last...unless of course you use a top coat. But that will just defeat the purpose of using a matte polish, hahaha! In my case, it started chipping on the 2nd day. Oh well, it's fine. They dry fast anyway so reapplying won't be such a pain.